Now that's a Halloween Pumpkin!! 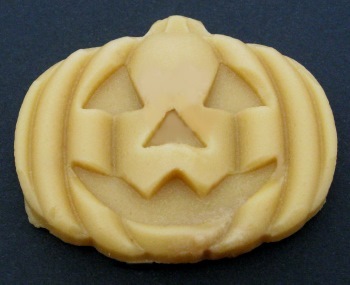 This pure maple sugar candy Halloween pumpkin was a monstrous hit with our staff! 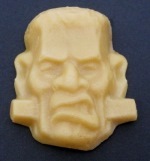 The eyes, nose and mouth are so well defined, which is hard to do with maple candy. You won't be disappointed, and you will certainly have candies at your Halloween party that your guests will have never seen before. Maple candy is delicious so you can bet they will disappear from the candy table fast! But that's OK, the important thing is that everyone has a monstrously fun All Hallows Eve! 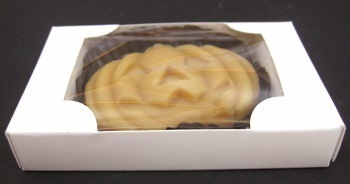 Quick Delivery - Order one or two Pumpkin Maple Sugar Candies and shipping is just $5.95 Priority Mail!